Ever thought about building a solid internal communication plan? Or are you looking for an internal communication template to help with your planning? This is important to consider in today’s world of digital disruption. Never have internal communicators had so many channels available to them. Whether it’s an employee collaboration tool like Workplace by Facebook or Microsoft Teams, or a voice solution like Alexa for Business, the channel stack in organisations has grown massively in recent years. So why is it that despite such a massive array of communication channels to choose from, it’s getting harder rather than easier to boost employee engagement in organizations? Start tracking my internal emails! One of the key reasons is not having a robust internal communication plan in place. When you’re living in an age of distraction, it can be nearly impossible to take a step back, look at the bigger picture and plan accordingly. The recently published report on internal communications titled, The Next Level, which garnered the views of senior communication professionals from some of the biggest organizations around the world, noted that effective planning was necessary to create successful internal comms. So how can internal communicators create a stellar internal communication plan for future success? How can they prove the value of IC to the C-Suite and showcase the significant role that internal comms plays in creating successful organizations. 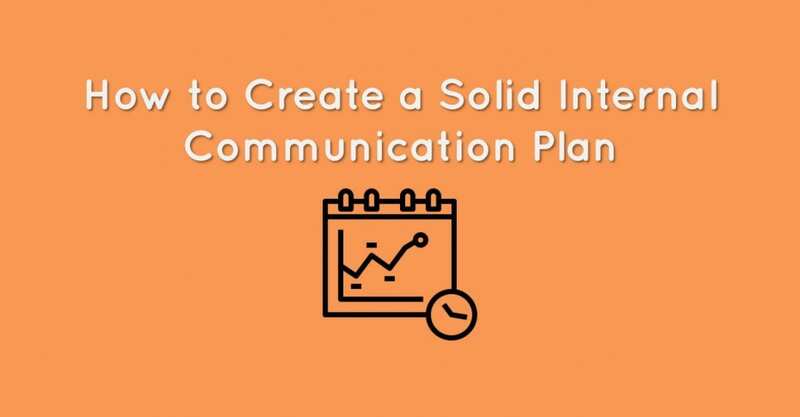 Here are 6 tips to help you create a solid internal communication plan that will help you pave the path towards future success. An internal communication plan is never final, so why do so many internal communicators create it, then leave it on the shelf never to update it again?! High performing communication teams regularly meet to review and update their plans. Firstly – everyone is on the same page with what comms are taking place throughout the organization and can share best practices and experiences. Secondly, reviewing your internal communication plan and evaluating what works and what doesn’t will help you figure out if employees are even receiving your communications and engaging with them. Over the years I’ve seen many different types of internal communication plans. Whichever one you use, it should be in a consistent format that all communicators are using across your organization. Once you’ve agreed on a format/template – whether an Excel spreadsheet or online planning software – it makes it much easier to capture all the requisite information you need for your organisation. It also means you don’t have to reinvent the wheel each time you need to create a new plan. We’re all guilty of overly relying on tried and tested channels in an internal comms plan. It’s good practice to do a channel audit and look at the channels you’re using most, ideally by audience. Chances are a channel that works for remote workers won’t work for your regular office employees. The days of putting out communications for all staff via one channel are over. You need to adapt both message and channel choice according to your audience and capture this in the plan. Once a comms plan is in place and you start communicating, it can be easy to keep your head down and get busy sending out comms. With a wealth of data and analytics out there however, you’re missing out on vital opportunities to check how your communications are performing in your organization. This could be email open rates, pulse survey results or Intranet analytics. Constantly be open to learning and refining your internal communication plan according to the data you’re getting back. Start My Free Internal Email Tracking Plan! Effective internal communication is never a case of just pressing send or posting on the Intranet. There’s a lot of work that needs to happen to get to this stage. For example, take an update message from the CEO. There will be a brief to take where key messages are captured and often several drafts required before you get to the final sign off stage. Keeping track of these tasks for yourself can be hard enough, but – if you have a team working on various communication messages – it can be difficult to keep all the people aligned and know what’s going on. Top comms teams have mastered the art of task management, with everyone having visibility of what’s been done and what’s coming up to get communications to the ‘hit send’ stage. You may want to try using some online collaboration tools to streamline your internal communications planning. With so many exciting new channels to receive content on as a consumer (think Snapchat, Instagram Stories etc. ), employee expectations have also gone up. The standard intranet news piece alone just won’t cut it anymore. Don’t be afraid to try something different such as introducing innovative campaign ideas and constantly experiment with new platforms. Exceptional internal comms pros are good at recognizing what’s working in the consumer space and introducing it into their internal comms. For example, we’ve seen Instagram stories do really well internally as a way of providing updates from major internal conferences to all colleagues via the Intranet and Workplace by Facebook. If you’re looking to gather actual employee feedback in a quick and easy way, you should also start testing out pulse surveys, social reactions and Like buttons within your employee newsletters. With ContactMonkey you can turn your internal email into a two-way interactive channel with pulse surveys and social reactions. Get started with your free trial to learn more! Comms planning is often seen as a chore, but with just a few tweaks and experimentation, it can become one of the most powerful weapons to lead successful internal communication. Having a better and more effective plan means more engaged employees and better performance. Take an honest look at how you’re planning your communications and see what you can improve. You’re bound to see a difference in employee engagement after that! 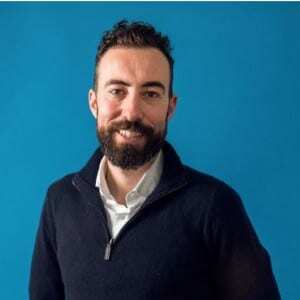 This blog was a guest post by Daniel Penton, who is the co-founder of communication planning platform, ICPlan. Want to learn how to track your internal communications using ContactMonkey? We can set up a personalized demo for you and your team. Just book your demo and get started with your FREE TRIAL of ContactMonkey. Do little, achieve greatness! Daniel Penton is the co-founder of communication planning platform, ICPlan. He is passionate about comms planning and optimizing communication teams to perform at their peak. He has supported a wide variety of companies including IBM, HSBC, Roche, Lloyds Banking Group and GSK.